ePublishing Knowledge BaseePublishing Knowledge BaseePublishing Knowledge Base Creating Pages & Site NavigationHow do I create a unique URL for my landing page? Learn more about creating landing pages here: How do I create a landing page? You will be asked to add a URL for your landing page when you create it in the Page Manager. 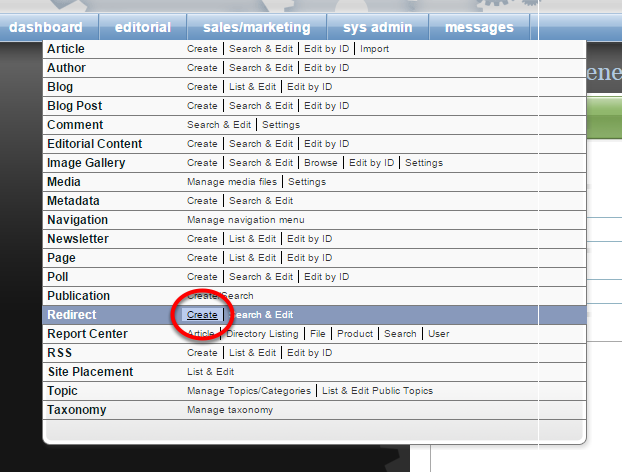 Zoom: You will be asked to add a URL for your landing page when you create it in the Page Manager. Highlight the text and replace it with your preferred URL.Consider SEO when drafting your URL. You may not use special characters, such as &, ?, / and other common punctuation. Do not add spaces. A best practice is to use hyphens or underscores. CAUTION: If you update the URL after your page is already published and linked, your readers may encounter a 404 if they click on an old link to the page. An automatic redirect will not be created. Be sure to create a redirect using the Redirect Manager if this occurs. In addition to the main URL for your page, you may want to create a second URL to track in a specific marketing campaign, for example. To create an additional URL for campaign-specific tracking, use the Redirect Manager after your landing page is created and published. Click here to learn how to set up a redirect for your landing page. Prev: How do I create a landing page? Next: How do I add a navigation link for my landing page?